Welcome to MikeandTheMouse: PIXAR Place Expansion Coming Soon?? I'm going against everything I believe in when it comes to rumors, specifically DISNEY rumors, but I find this one way too juicy (and likely accurate) to pass up. According to a few reputable WDW fan websites, it seems that the Studio Backlot Tour is poised to close down at Disney's Hollywood Studios. We know that since Oaken's Trading Post and Frozen Funland are moving out of the Soundstage 1 area, work should soon begin on the rumored (and much needed) third track for Toy Story Mania. Why close the Backlot Tour? It appears that area is destined to be home to a rather extensive PIXAR Place expansion. 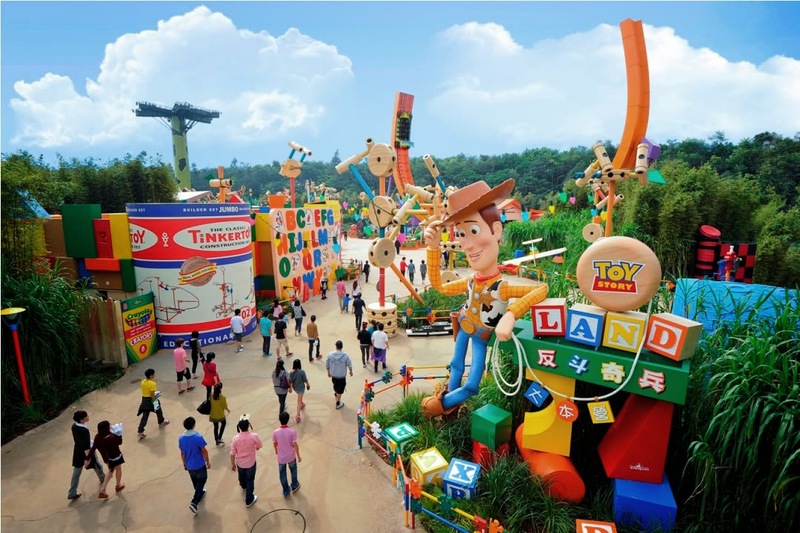 According to WDW News Today, we will likely see smaller, flat-rides developed for Toy Story Playland at Disneyland Resort in Paris and Toy Story Land at Hong Kong Disneyland including RC Racer, Slinky Dog Zigzag Spin, and the Toy Soldier Parachute Drop. Attractions in this area don't take us much real estate as these rides would require, so WDW News Today speculates that remaining space could be used for CarsLand (fingers crossed) or other PIXAR themed attractions. Of course, nothing has officially been announced and likely won't be for quite some time. When it is, we'll make sure to cover it all for you right here! Updated: Disney has announced to Hollywood Studios cast members that the Backlot Tour will cease operation on September 27, 2014.